Consuming raw or undercooked meats, poultry, seafood, or eggs, may increase your risk of food borne illness. Items on our menu may be prepared with or around tree nuts or eggs, please inform us of any food allergies/sensitivities. Using fresh, locally sourced ingredients with organic sauce and hand-stretched organic dough, made daily, our wood fired pizza will entice your taste buds and enchant your senses. Enjoy a freshly brewed cup of coffee. We serve wines from local wineries. We serve microbrews from local breweries. MAIALE DI VOLO IS BASED IN BEAVERTON, OREGON. WE PROVIDE CATERING SERVICES TO THE GREATER PORTLAND METRO & SOUTHWEST WASHINGTON AREA. Mon. – Fri.: 12:00 p.m. – 8:00 p.m. Weekends: 12:00 p.m. – 5:00 p.m.
– Appetizers and desserts are available for an additional charge. – Gluten free available w/ advance notice and additional charge. – We can provide all natural drinks for an additional charge of $3 per person. *18% gratuity not included in price. We have a lunch and dinner slot available each day. Generally, the lunch slot will be from 11 a.m. to 3 p.m., and the dinner will be from 5 p.m. to 9 p.m. With enough advance notice, other times can be arranged. The minimum party size for Saturday evening is 51-75 Guests. A deposit of $100 is required to hold date. We can serve pizza in light rain, but not in a downpour. In case of forecasted rain, you can cancel your party 24 hrs in advance with no penalty. We will make every effort to have your party even if it should rain. In the event of a same day cancellation due to weather, we will retain your deposit, and you can reschedule up to one year in advance and your deposit will be applied in full. Pizza so good, pigs will fly. Maiale Rosa Wood Fired Pizzeria offers an honest, deliciously healthy pizza, with old world techniques, values, and service. We believe pizza was created for the people and we want our customers to enjoy a happy healthy life, so we choose to use only the highest quality artisanal products to our pizzas. We hand select our cured meats and salumists, seek out the best and freshest organic produce, small farm artisanal cheeses, and high-quality multi-grain, organic flours to create our signature hand-formed wood fired pizzas. Maiale Rosa strives to source Oregon products first, while still maximizing freshness and quality. For our customers who have an allergy to dairy products, or choose to not eat dairy products, we have vegan options for you. 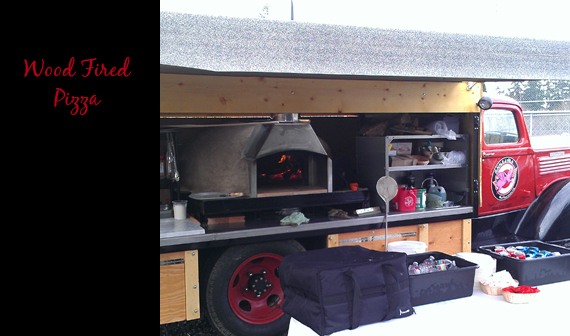 Pizzaiolo/Owner, Brett Tuft, brings over twenty years of catering and cooking experience culminating in his wood fired catering truck (Maiale di Volo), he is taking the next step with Maiale Rose Wood Fired Pizzeria as his first restaurant that is located in Beaverton, OR. Growing up in his grandmother's kitchen, always testing his cooking abilities, Brett soon found joy in providing service to others in the role of sous-chef for many North West kitchens. He attended Le Cordon Blue WCI in Portland, Or, to continue his education and has worked for some of the regions finer dining establishments. With an affinity towards pizza, he held many impromptu pizza parties for family and friends. 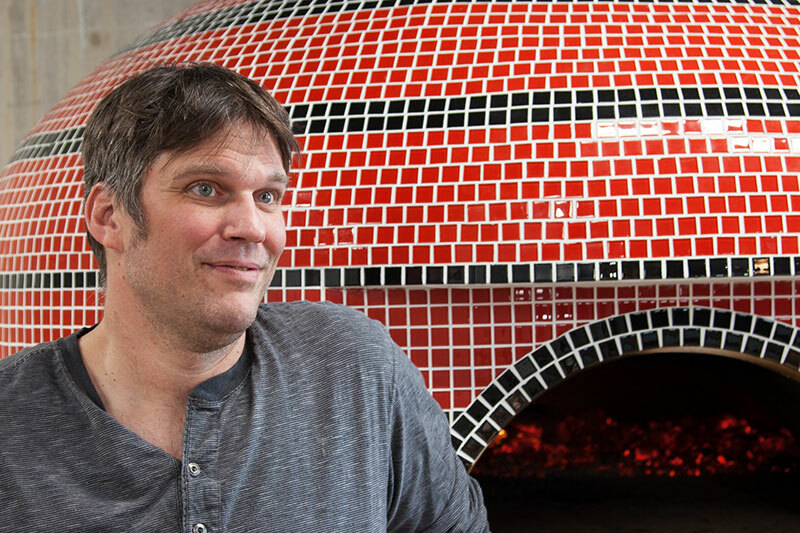 Maiale Rosa Wood Fired Pizzeria is Brett's lifelong journey to bring a healthy, great tasting pizza to the Westside. © 2019 Maiale Rosa Wood Fired Pizzeria. All Rights Reserved.